Your Promotional Souvenir Bag and its contents are important tools in your marketing tool. 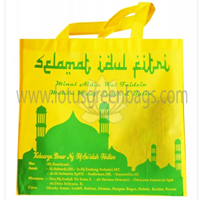 The Lotus Green Bags Shop Selling Promotional Bags, not only generates brand awareness and loyalty, rewards your customers and clients, it is also a cost-effective part of your marketing strategy, which is intended to generate sales and improve prospects. Building a strong brand is very important to gain trust and promote the personality of your business. The question of what must be included in a Promotional Souvenir Bag can be a challenge. With many choices, the biggest possible question is which product is the most effective to include in a Promotional Souvenir Bag? No one likes boring objects, especially when it comes to business. When data is placed on a place that sells promotional souvenir bags, try to think out of the box. Consider using a unique product. We Sell Promotional Souvenir Bags that are generally bags with logos or slogans from a company or products used in the framework of promotion. 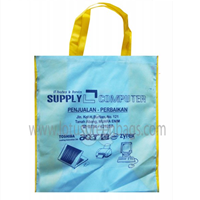 Promotional Bags ES 1Promotional Bag is one of the promotional items that must be owned by every company. The better the materials and designs that are owned by a company's promotional handbags, showing also the prestige and prestige of the company. 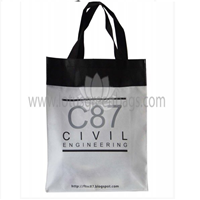 Promotional Bags FBIn marketing or branding activities a company usually uses the media pamphlets, banners or banners. 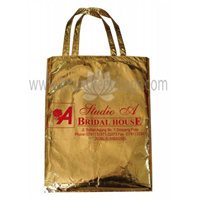 But now there is a more effective way that is by utilizing promotional bags. Surely the question arises why should use promotional handbags? Where is one reason because the bag is a fairly durable and practical items and can be used repeatedly by the wearer. Especially for the class of companies who want to apply the best image in the community of course this promotional bag is very instrumental to the branding activities of a company. Promotion Bag NBPromotional Bag is one of the promotional items that must be owned by every company. The better the materials and designs that are owned by a company's promotional handbags, showing also the prestige and prestige of the company. Promotion Bag RBIn marketing or branding activities a company usually uses the media pamphlets, banners or banners. But now there is a more effective way that is by utilizing promotional bags. Surely the question arises why should use promotional handbags? Where is one reason because the bag is a fairly durable and practical items and can be used repeatedly by the wearer. Especially for the class of companies who want to apply the best image in the community of course this promotional bag is very instrumental to the branding activities of a company. Anda Mencari "Promotional Souvenir Bags"? Buat Permintaan Untuk "Promotional Souvenir Bags"